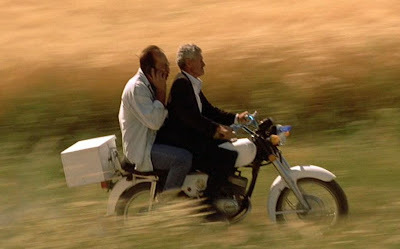 Taste of Cherry (Ta'am-e-Gīlās, 1997), a film produced, directed, written, and edited by Abbas Kiarostami, won the Palme D’Or at the Cannes Film Festival and has been hailed as a masterpiece by major critics and media outlets. In addition it has drawn fulsome praise from iconic film auteurs, Akira Kurosawa and Jean-Luc Godard. But it may not be to everyone’s taste. 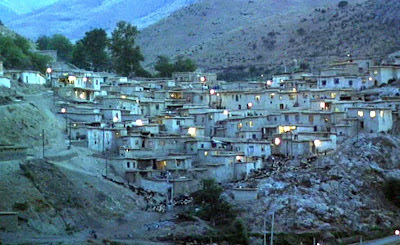 The structure and story of the film follow Kiarostami’s stylized and minimalist aesthetics. 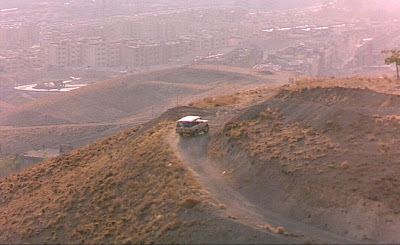 Shot in his usual quasi-neorealist style and with nonprofessional actors, the film follows a middle-class man, Badii, as he drives around the outskirts of Tehran in his expensive SUV, looking to hire a working-class labourer for a job he wants to have done. 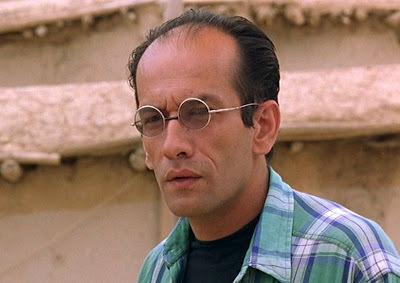 Note that although Homayoun Ershadi, who plays the role of Badii, had no professional acting experience, his restrained but intense performance was sufficiently effective that he went on to appear in a number of other films, including Mehrjui’s Derakhte Golabi (1998) and Forster’s The Kite Runner (2007). 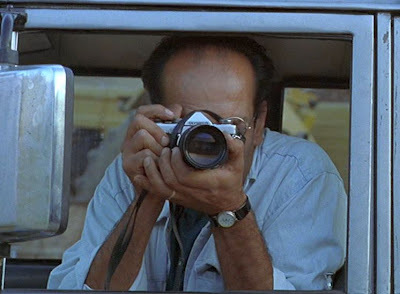 Given the contemporary social environment of Iran, there are practical reasons why shooting movie film of people inside motor vehicles is convenient, but Kiarostami has become the specialist, par excellence, of this mode of visual expression. 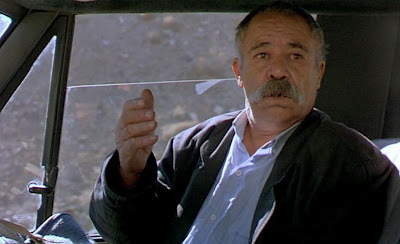 His film, “10” (Ten, 2002), for example, was shot entirely inside an automobile. 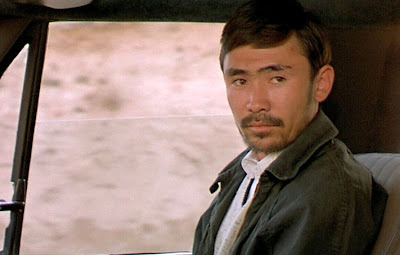 In Taste of Cherry most of the footage comprises lengthy medium close-up shots of the driver or his given passenger as they engage in rather drawn-out discussions. These claustrophobic close-up shots inside the car are intercut with extreme long-shots, showing wide open spaces, of the same vehicle as it meanders through the back roads and sometimes desolate landscape outside the big city. 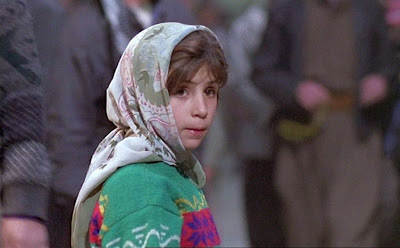 Another characteristic Kiarostami technique is the use of slow-disclosure: it takes a lon g time for the viewer to figure out what Badii is up to, because, as usual, no real backstory is provided. 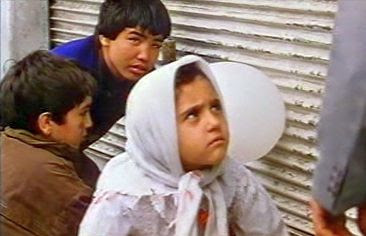 In fact, in common with the subsequent Silence of the Sea (2004), by the apparently Kiarostami-influenced Vahid Mousaian, the key motivational information for the principle quest in the film is never provided. As the film begins, Badii is seen driving around urban areas where unskilled workers gather looking for jobs. It soon becomes clear that he wants to hire someone, but he appears uncertain as to what kind of person he wants. Ultimately Badii will approach five different people to do the job, and with each successive encounter, he will have a deeper and more significant interaction. He is willing to pay 200,000 tomans for a day’s work (this would amount to a several hundred dollars, which would be very substantial for a lower-class labourer), but he is evasive concerning exactly what the job entails. The first person he talks to is suspicious of Badii’s evasive behaviour and dismisses him as a weirdo or a deviant. 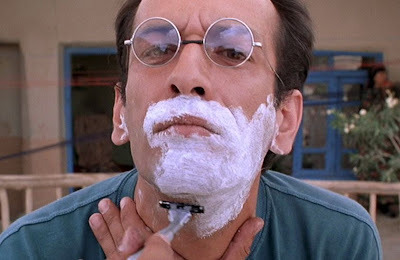 Following that brushoff, Badii looks for less-suspicious, more provincial types. He next approaches a young man from provincial Lorestan that he finds picking over rubbish heaps, but the man shies away and won’t get into his car. Only at this point, ten minutes into the film, does the film title sequence appear on screen, and the audience still doesn’t know what Badii wants to have done. The remaining three encounters with candidates for his job constitute most of the rest of the film. 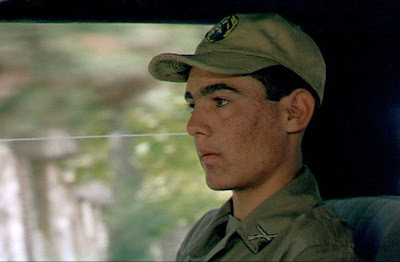 Badii’s third encounter is with a young soldier from Kurdistan whom he picks up along the road and offers a ride. The soldier is reserved and polite, so Badii does most of th e talking and leads the halting conversation as he finally outlines what he really wants done, now fully twenty minutes into the film. His intention is to commit suicide. He will take an overdose of sleeping of pills and then lie down to sleep in a deep hole in the countryside and have someone shovel twenty spadefuls of dirt into the grave the next morning. But he explicitly leaves a curious alternative in this specification: if by chance he is still conscious in the morning, his hireling is instructed to help him out of the grave. 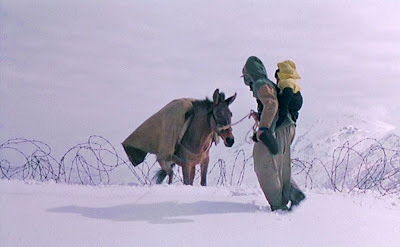 The Kurdish soldier, who had gradually been growing more friendly with his driver, is naturally horrified to be involved in such a macabre operation, and he flees the scene at the first opportunity. 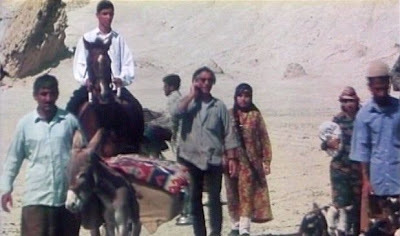 Badii next offers a ride to an Afghani seminarian, to whom he also presents his bizarre proposition. This conversation is more engaged and involved than the one with the Kurdish soldier, but it is also more psychologically distant and analytical: the discussion with the Afghani seminarian turns to the Islamic strictures opposed to suicide. 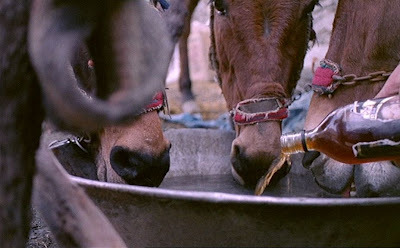 The Afghani refuses to abet such a sinful activity and offers his polite reasons for refusing to cooperate. 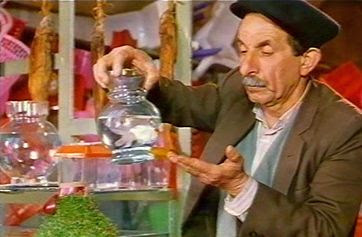 Finally Badii propositions an elderly and loquacious man of Turkish descent, Mr. Bagheri, who agrees to do the job requested, because he needs the money to assist his ill son. Mr. Bagheri is a thoroughgoing pragmatist; he will do the job for the money, but he urges Badii not to throw away his life. 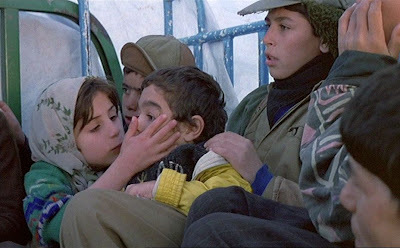 In an eloquent passage that represents the high point of the film, Bagheri recounts in his rustic fashion how he almost committed suicide thirty-seven years earlier. Due to his troubles at that time, he had intended to hang himself from a mulberry tree, but when he climbed the tree to secure the rope, he happened onto some mulberries and ate a few. Then he began noticing the sunrise and the abundance of the natural world around him, including young schoolchildren who asked him to give them some mulberries. With his mood thoroughly changed, he abandoned his morose plans and returned to life. 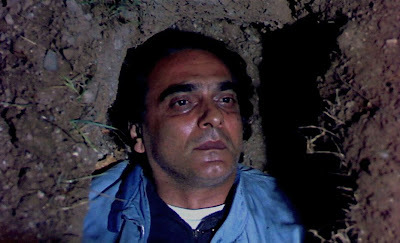 Badii listens to Bagheri’s testimony attentively, but remains on his suicidal mission, although he urgently reiterates the instructions about waking him up in the morning in the event that he is still alive. After leaving Bagheri at the natural history museum (where he works in support of the laboratory instruction), Badii returns to his apartment and prepares himself. Then he watches his final sunset before going out to his grave hole in the mountainside outside of town, where he smokes his last cigarette and then settles himself into his grave to await his end. The camera holds for a long time on Badii lying in his grave, illuminated only by moonlight or occasional lightning flashes. Finally the screen falls into complete blackness for a full minute, and only the sound of light rainfall is heard. With such a long hold on stillness and darkness, the viewer may become thoughtful or restless at this point. Then there is a fade-in to the same hillside, but with an entirely different and jarring perspective. 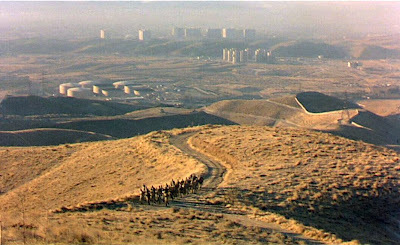 The scene shows Kiarostami’s film crew actively working on a shot showing soldiers marching and chanting along the hillside road (associated with the Kurdish soldier sequence). The hillside is now the scene of bustle and activity. It is shot with a handheld camcorder with a smudged lens protector, giving the scene an amateurish, on-the-spot feel to it, and it is further jarred by the background jazz trumpet music of “Saint James Infirmary”. This goes on for a couple of minutes, before the film closes, not with a fadeout, but with a cut to black. 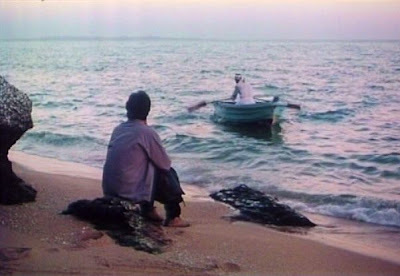 Although Taste of Cherry examines the always-present option of suicide and the countervailing reasons why one might turn away from suicide and live life again, the film, itself, is afflicted with the very same disorder that troubles its protagonist – the intellectual distancing from genuine human involvement. In fact the film appears to appeal primarily to those viewers whose experience and appreciation of film is not direct and intuitive, but must always be mediated by intellectual reflection. Indeed to a certain extent the film illustrates the difference between the aesthetic qualities of film and text. The film experience, I contend, is something more than a textual reading (although many critics have artificially tried to expand the definition of ‘text’ and ‘reading’ to encompass almost all of mindful experience, thereby skirting the issue). By way of comparison, consider a great text, such as Dostoyevski’s The Idiot, which has sometimes been characterized as a sequence of extended and interesting conversations. Because it is a text, the reader reflects on the richness of those conversations in the context of the story. Taste of Cherry, too, feat ures a sequence of extended conversations, but its conversations, as such, are not so interesting or bipartisan. 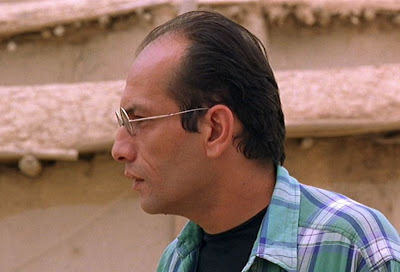 The only interesting ‘text’ is Mr. Bagheri’s monologue to Badii towards the end of the film. But the rich, interactive, dynamic nature of cinema is not utilized in this film. Instead we have a schematic, artificial situation that engenders a sequence of artificial, non-interactive encounters that are presented for the viewer’s intellectual contemplation. All of this is then followed by an even more artificial coda. That coda, incidentally, is a further illustration of my overall point. 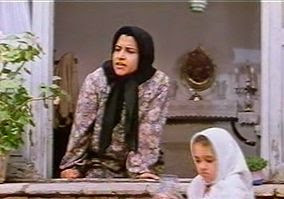 The narrative scheme to the film came to an end with the ending of the character Badii. 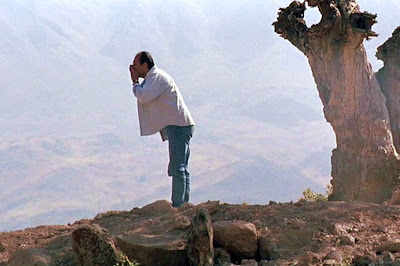 Within the logic of the narrative, there is a possibility that Badii might survive, but that was apparently incidental to Kiarostami’s purpose, and so he had no use for the character anymore. He has built up the possibility that Badii might survive, but then abandons that thread and pulls the rug out from under the viewer. 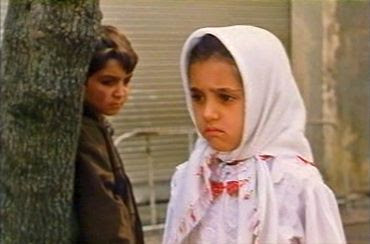 Instead, Kiarostami wanted to continue his intellectual themes, and so included the artificial and viewer-distancing coda. The shot of the hillside in that final coda scene shows the landscape relatively green, with grass and new foliage, suggesting we are now in a rainy season, which of course displays a vibrant contrast to the somber, gloomy scenery that dominated everything that came before. 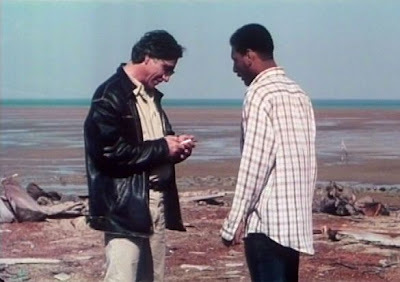 In fact, given the fateful clock times explicitly mentioned in the film (6 pm and 6 am), which are subsequently depicted to occur in darkness, we can assume that the seasonal period of Badii’s excursion was roughly in the winter time. The final coda, on the other hand, seems paradoxically to be in springtime. Why? 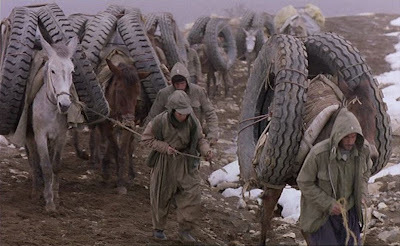 It may have been useful for Kiarostami’s intellectual theme to show Badii’s excursion in a dry, dusty, lifeless environment a nd the coda in a green environment, but this lacks narrative motivation. Similarly, the intrusive, nondiegetic score of “Saint James Infirmary” is more for ironic reflection than for narrative enhancement. It appears that this entirely unnatural final scene is simply put forward to the audience in order to state, “life goes on”. In other words, the whole coda is a stunt put forward only to make a trivial point. Such things are not what constitute either great texts or great cinema. The feeling of isolation is enhanced by the many sounds that are dissociated from their images, i.e. the source of the sound is off-camera. This includes the background sounds of nature, particularly the sounds of birds. All of this suggests the richness of nature, of which Badii seems oblivious. The stark contrast between shots showing the confinement inside Badii’s car and the concurrent shots showing the sweeping landscape as his car wheels along mountainous roads is an effective visual metaphor. The numerous shots of heavy earthmoving equipment in the industrial area outside Tehran might suggest both (a) the futility of man’s attempt to alter the course of nature and (b) the religious acceptance of human fate inevitably traversing the course of “earth-to-earth, ashes-to-ashes, dust-to-dust”. But as a narrative, what do we really have in Taste of Cherry? 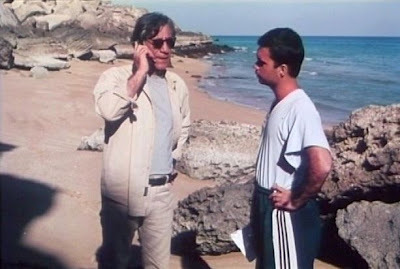 It is odd that the initial meeting with Mr. Bagheri is not presented in the film. With all the incidental and trifling activities in the film that are fully played out in every detail, why omit the most important meeting in the narrative? 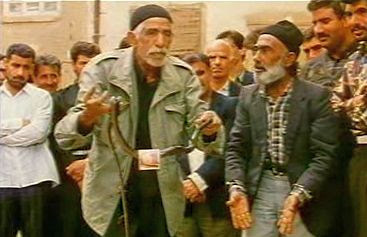 In addition the viewer is never informed of the original circumstances behind Badii’s death-wish. There is no backstory, no motivation, that might help engage the viewer to empathise with Badii’s life context. Perhaps this absence of specific motivation for suicide is undertaken in order to disengage the notion of suicide from any individual circumstances and make it available for abstraction contemplation. But this represents a flight from film and a movement towards text. And in this case, the text isn’t very compelling. 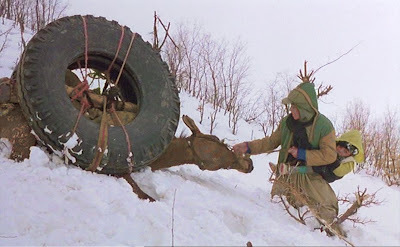 Taste of Cherry has sometimes been compared to Antonioni’s Red Desert (Il Deserto Rosso, 1964), but there is a world of difference. 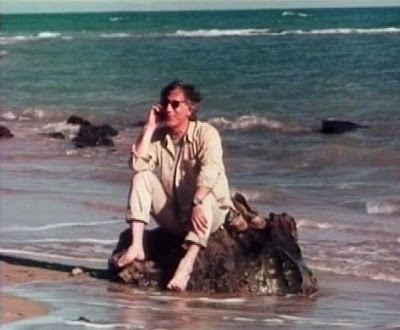 Antonioni’s film uses the film medium to convey a more direct sense of alienation and isolation. 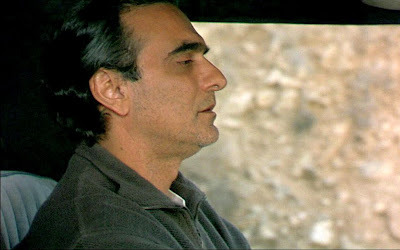 Kiarostami’s Taste of Cherry only presents a schematic outline for intellectual contemplation. 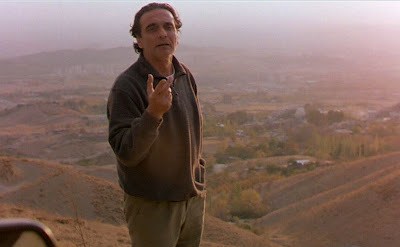 Fortunately, Kiarostami would go on to do much better (but with fewer accolades) with his subsequent offering, The Wind Will Carry Us (1999).